Hi I was going to start modding FO3 for the PC but I don't know the proper software I would need. I have already gotten the G.E.C.K modding software but nothing else. So where could I find anything that might be more useful than what google and bing host? All they really do is put the link with the most keywords at the top. 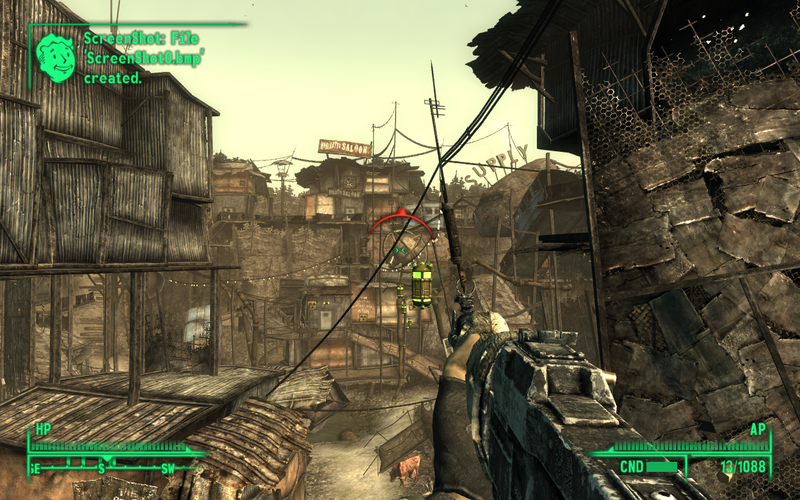 I touched in Fallout 3 modding for a tiny, tiny bit. I only did basic edits via G.E.C.K. and that's all. I modified guns to shoot different projectiles and such. From my knowledge I believe the G.E.C.K. is pretty much the modding tool. I don't know of any other modding tools around, but I'd be most likely wrong if I said there weren't any. All I know about the G.E.C.K. is you can create new levels, edit objects, even create new objects. I'm unsure how scripting and that is handled, but it is prolly handled in the G.E.C.K. Uh, your mod is assembled in the software and is created as a .bsa File which is a Fallout data package. Another random fact is that the levels "snap" together. IE - You make pieces and they fit to each other in the editor by snapping. I highly suggest you check out some of their tutorials and such. I don't know the preferred software for modeling things in that game. I'm guessing it's 3ds Max. However, I could be wrong. Other than that I don't know much else about modifying the Fallout 3 engine. Though, I will be touching in it again sometime soon. Joshy is correct. G.E.C.K. is even the official tool created by Bethesda (the creators of FO3) to mod this game. I never really messed with Fallout 3 or GECK, but I modded the HELLZ out of Morrowind, and I still do. Fallout 3 has potential, but I cannot make assets that are close to even fitting in. Although, along with Reg's statement I must say: People shouldn't be discouraged from modding a certain engine because they lack modeling or artistic knowledge. Playing with assets already in the game is good practice until you get your feet wet in the art section. I suggest you go pick up a copy of the G.E.C.K. and get to it! I remember doing hilarious mods with that game. Sidenote: Anyone made a new map for that game? Is it rather difficult? Seemed so to me, but I never actually tried it. Anyway, why release info every few months? I'd get my stuff together and really plan it out well and do a full mod announce. Mod announcing bits and pieces is lame. Make sure you have a clear and concise idea of what you want to do. I got the full idea set and my first priority after getting a working copy will be creating vault -1 the only vault build over ground. By the way, I couldn't help but try out the G.E.C.K. again and made a silly mod that places a new weapon in the Megaton clinic. It shoots plasma grenades as projectiles. uh, just change the name of the weapon and klick ok. The GECK will the ask if you want to rename the weapon or if you want to make a copy with the new name. Simply say "No" to rename and you have a perfekt copy of the missile launcher with all models working. Go get Geck, learn it, you have to do a few tweaks to the Geck itself to be able to load multiple ESMs/ESPs at the same time. I may as well ask the question any one Recomend any Other Good Tuts (posted by the FO3 community)? I just use the G.E.C.K. and the Fallout 3 Launcher for launching my mods. Oh, and, if you're gonna base your mods heavily on other mods, be sure to use FOMM. And CAILBR, it creates several commonly found ammunition types to use in your mod because if you do not the following will happen. Guns share the same ammo in object type, not name. So Person A creates a 5.56mm ammo type weapon, and Person B creates a 5.56mm ammo type weapon mod. The two mods will not be able to use the same ammunition because the game treats them as different objects. Having CALIBR for ammo types really smooths out everything. Or you can get xCalibr, wich is the same but it adds some nice models for most of the the CALIBR ammunition. Don't mind me, no edit function for guests, should be seeings as the forum software tracks your IIP regardless. As for the identity of this informed interloper? Suffice to say I was once amongst you. Hmm, random guess, but Mortecha? I really don't like Blender. I hope somebody has done any sort of .nif plugs for other 3d apps. Possibly, you could just model in something else then open it it blender, 3dsmax would be good, there's an option to generate a compatible collision mesh. There are tutorials about how to rig up weapons for Fallout 3 animations, unfortunately there's a limited set of them that can't really be added too (apart from reloading by way of scripting black magic). Having seen your work anything you chose to do will look good and be at the high-poly end of the spectrum. Hmm, I'll have to look into it. Certainly great info. Me, however im still going to try to mod FO3 but im going to wait for Vegas if i plan to do any thing BIG. Well, have you taken a look at the screenshots for New Vegas? Looks like there are no engine improvements. Wait for Fallout 4 if you are wanting something new. I'd just stick to Fallout 3.
as for FO4 id rather not count my mirelurks before my eggs have hatched, ill move to NV because i like the sound of it (atm) better, of course i haven said any thing about not moving over to 4 from NV and NV might be a disappointment. Indeed. All we can do is wait for New Vegas to come out, and see how it is. If I recall correctly, I have seen him upload once or twice in the Nexus. Also, heres hoping New Vegas will fix everything wrong from FO3, and better graphics as well, last I saw, it was using the same engine and the same props from FO3, made me sad thinking that they wouldn't replace the old props. Come on... what possible reason can you have for continuing that juvenile façade? Because I can. Because my past deeds - though I am not ashamed of them - tend to colour people's expectations, and even causes some to disregard my points. To that end the deeds may stay, and at some later date I may allow them to be attatched to me once more. For now; however, they can stay attributed to another name from another era. Albrecht never dies, he just goes to the nearest bar to regroup. best ones you'll get are those, why won't they work?